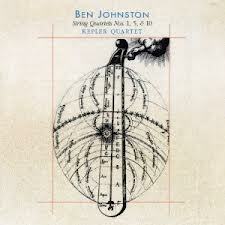 One of America’s greatest living composers, Ben Johnston has produced string quartets gradually across his entire career, and this disc represents the world-premiere recordings of one from each of his early, middle, and late periods (1959, 1979, and 1995 respectively). Space doesn’t permit a detailed description of each, and the liner notes include detailed analysis and history in any case. Suffice it to say here that the three compositions could hardly be more different from each other, or more fascinating taken together. The playing by the Kepler Quartet is very good; there were moments of what I initially thought was shaky intonation, but may well have actually been intentional microtonalism. Yes, this is that kind of music. Strongly recommended to all collections. 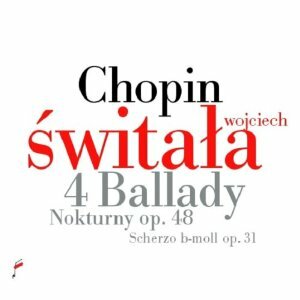 Honestly, I’m no Chopin expert and I couldn’t tell you whether or not Wojciech Swytala is a great interpreter–though his playing seems very impressive to me, both fluidly expressive and technically sharp. What I can say is that the experiment represented by this paired set of dics (sold separately) is a fascinating one. On one disc, Swytala plays the program on a modern Steinway grand piano; on the other, he plays the same pieces on an 1848 Pleyel fortepiano, one which retains its original hammers and soundboard. Comparing the tone and responsiveness of the two instruments is very interesting, and should be highly useful to any library supporting a program in piano performance or period-instrument practice. Anyone who has been reading CDHL for a long time will have gathered that although I generally favor period instruments for music of the baroque period, I’m a big fan of Bach on the piano. 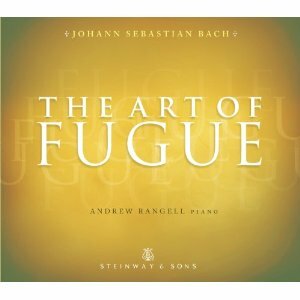 I’m also a big fan of Andrew Rangell, so his lovely and insightful account of the Art of Fugue comes as a real treat. In his treatment of baroque works he has always shown exceptional taste, using the modern piano to nudge the expressive boundaries of period style but never indulging in “look at me” histrionics at the expense of the music. 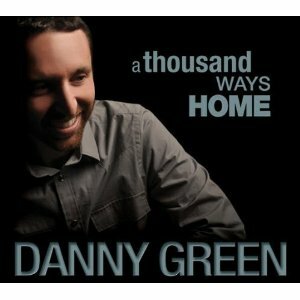 This is a very lovely recording, highly recommended. Virtually forgotten today, the oboist and composer François Chauvon was a student of Couperin and published a small number of instrumental and vocal works between 1712 and 1736. The collection of suites titled Tibiades is featured here in arrangements that take advantage of the vagueness of the composer’s instructions; although Chauvon indicated that these works should be performed by flute, oboe, violin, and continuo, there is very little direction as to which instruments should play which parts and in what combinations at which points. The performers have therefore taken great liberties with the arrangements and created thoroughly charming renditions of these attractive, though not world-shakingly innovative, pieces of French baroque music in the early Italianate style. 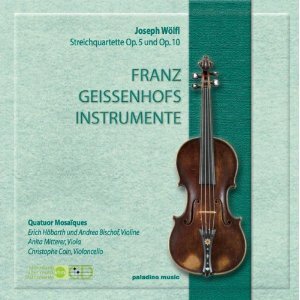 The prominent title on the front of this disc reads “Franz Geissenhofs Instrumente,” which may be puzzling to the very great number of people who have never heard of the Viennese violinmaker whose instruments are showcased on this album of three quartets by the equally obscure Austrian composer Joseph Woelfl. So this recording, performed by the always-reliable Quatuor Mosaïques, is doubly revelatory, bringing to light not only the rich and slightly dark tone of these late-classical (gut-strung) instruments, but also the impressive inventiveness of a very fine early-romantic composer whose work is otherwise rarely heard. All comprehensive classical collections should acquire this disc. 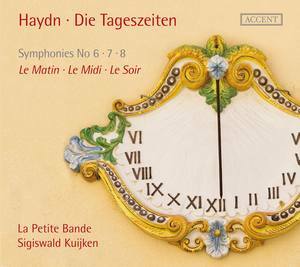 Haydn may be a familiar name and his “Day Trilogy” of symphonies (one each for morning, noon, and evening) may be familiar works, but it’s the particular genius of Sigiswald Kuijken and his wonderful La Petite Bande to be able always to shed new light and warmth on pieces that we may have heard many times before. The group’s small forces (only four violins, one cello, one bass, etc.) make for an unusually transparent and light sound here, but there’s no lack of vitality or substance to their tone. 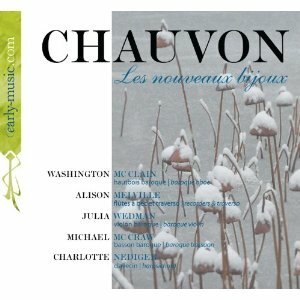 This is a wonderful recording of some of Haydn’s most charming work. 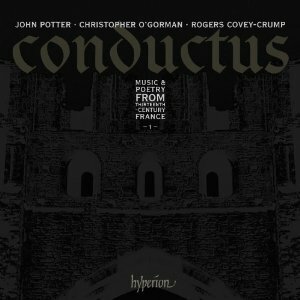 This is the first in a projected three-volume series of music from the conductus repertoire, a body of sacred and secular musical poetry dating from between 1230 and 1320. The three tenors featured on this recording (sometimes singing alone and sometimes in a vinegary, early polyphonic style) are all members of a grant-funded team based at the University of Southampton and charged with bringing these generally-neglected works to light. This first volume is an exciting step in that direction, and should be picked up (along with the subsequent instalments) by all libraries with a collecting interest in music history. 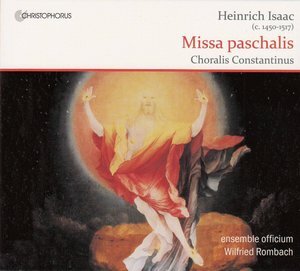 This is a sumptuously beautiful, if perhaps a bit idiosyncratic, recording of Heinrich Isaac’s wonderful Easter mass. Its idiosyncrasy lies in the interspersing of the Mass sections (which in this case include only those of the Ordinary) with selections from the Mass Propers taken from the Choralis Constantinus collection to create a single, extended Mass setting. The latter selections are all thematically related to the theme of Christ’s resurrection, and the musical result is really quite special, as is the quality of the singing by the brilliant ensemble officium. Highly recommended to all early music collections. With jazz flute, you’re always flirting with the danger of sounding like Muzak. There are several strategies for avoiding that fate, one of which is to swing really, really hard; another is to adopt a kind of super-woody tone that communicates musical seriousness; another is to shade off into avant-gardism. 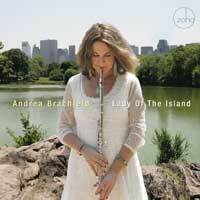 Andrea Brachfeld leans on none of those crutches, although she does demonstrate admirable swing and tonal flexibility, and her compositions display an impressive balance of accessibility and complexity. Her tone is a bit “classical” for my own tastes (her tone probably comes of being an actual trained flutist rather than a dabbling saxophonist, as so many jazz flute players are), but she’s a very skillful and idiomatic player and her band is exceptional. 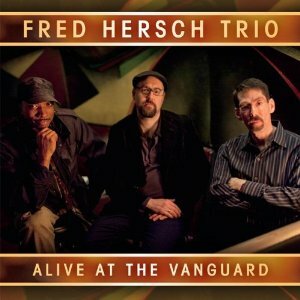 OK, I’m just going to say it: Fred Hersch is America’s finest living jazz pianist. I don’t know how many would agree with me (and I’m not at all sure that Hersch himself would), but I find myself continually moved, amazed, and at times dumbfounded by his effortless technique, his melodic inventiveness, his wit, and his absolute rhythmic reliability. His last solo album from the Village Vanguard was one of the best jazz albums I had heard in ten years, and this two-disc trio date from the same venue is just as good. The program includes a nice mix of originals and standards (including originals conceived as tributes to a diversity of icons including Thelonious Monk, Ornette Coleman, and Paul Motian), the sound quality is excellent, and the ensemble playing borders on telepathic. An essential purchase for all jazz collections. On this all-standards program, guitarist Ed Cherry leads a crack trio (including the great organist Pat Bianchi and drummer Byron Landham) through a nice variety of tunes both familiar (“You Don’t Know What Love Is,” “In a Sentimental Mood”) and less so (Duke Pearson’s “Christo Redentor,” Wayne Shorter’s “Deluge”). What you immediately notice about this album is how gentle and subdued the mood is–especially for an organ trio record. Normally this format leads to lots of funky shouting, but these guys are working in a much more restrained style and the result is truly lovely. It’s not to say that they don’t groove deep and swing hard–they do both. But they do so in a way that I can only characterize as “grown-up.” Very, very nice. Junction is an apt title for the latest outing from this band, which started out loosely basing its instrumentation and style on that of the Gypsy jazz quintet formed in 1930s Paris by guitarist Django Reinhardt and violinist Stéphane Grappelli. 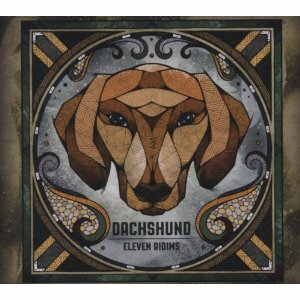 Using no percussion, they play hard-driving swing music using multiple acoustic guitars to propel the beat–or used to, anyway. Over time their style has become more discursive and experimental, and has gradually incorporated different instruments. The results may displease Djangoite purists, but have been consistently interesting and enjoyable. On this album they are joined by the winsome French singer Cyrille Aimée, whose three tracks (including a startling version of Ornette Coleman’s “Lonely Woman”) are highlights of the program. When I first saw the title of this disc I thought “Oh, how nice; a tribute to Helen Merrill.” But no: it’s a tribute to producer and manager Helen Keane, who is best known for managing the legendary Bill Evans during the last 17 years of his life, but who also had a formative influence on Roger Davidson. 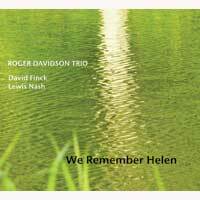 Here Davidson takes his trio through a lovely set of standards and originals, ending with a touchingly lovely take on the Evans evergeen “Waltz for Debbie.” The whole trio plays very well, but this program is a real showcase for Davidson, who seems to have a bottomless well of musical ideas and presents them all with both energy and panache. Recommended. The Art of Dreaming is an apt title for this impressionistic, rambling, and frequently deeply beautiful album of tradition-minded modern jazz. 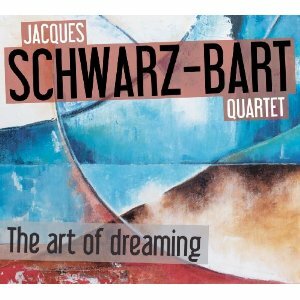 The textures and arrangements are all quite straight-ahead, but Schwarz-Bart’s playing and writing style are both quite free and open, placing a higher premium on expressive exploration than on structure and groove. This leads to some truly inspired moments, especially on the more contemplative ballads; if it also leads to some instances of what may seem to most listeners like merely self-indulgent blowing, well, that’s the risk you take–and luckily, ballads predominate. 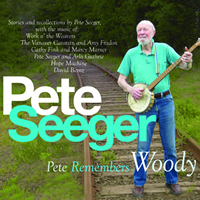 Pete Seeger, whose own centenary we’ll be observing before too much longer, celebrates the 100th birthday of Woody Guthrie with this sprawling two-disc set of spoken reminiscences and songs performed with such friends as Arlo Guthrie, Bill Vanaver, and banjo great Cathy Fink. There are some old recordings by Guthrie, Cisco Houston, and the Almanac Singers, but the focus of the recording is on Seeger’s spoken recollections, and it will be of very great interest to any library collection dealing with the folk revival, Cold War politics, and/or the labor movement. 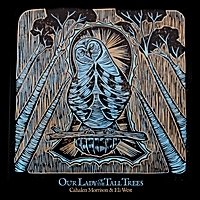 These guys hark back to the halcyon days of the pre-bluegrass guitar-and-mandolin brother duet, but they expand that tradition’s boundaries significantly in terms of instrumentation and bring it stylistically forward into the singer-songwriter era. The tight harmonies (check out the lovely “A Lady Does Not Often Falter” and the bracingly astringent “All I Can Do”) and the advanced multi-instrumental chops will appeal to fans of bluegrass and early country music, while the clawhammer banjo playing and the frequent appearance of a bouzouki should draw lovers of old-time and Celtic music at the same time. What ultimately matters is the quality of the songs, of course, which is consistently high; most are originals, and all are very, very good. Recommended to all libraries. 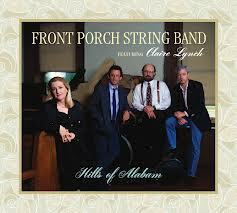 Despite its name, The Front Porch String Band wasn’t an old-timey group, but rather a bluegrass one, and a somewhat forward-looking one at that–in that it was one of the very few during the 1970s to feature a female lead singer (the soon-to-be-legendary Claire Lynch). If you missed out on the band’s earlier work, then definitely pick up this compilation, which brings together highlight tracks from its eponymous first album for Rebel and the subsequent Lines & Traces, plus a track (written by Lynch) from a Mark Newton album released in 2000. Nothing here will sound particularly new or innovative today, but the playing is superb and Lynch’s voice is a joy to hear. Usually the term “roots music” refers to a musical style, and suggests stylistic referents that may include country, bluegrass, blues, or even rockabilly. 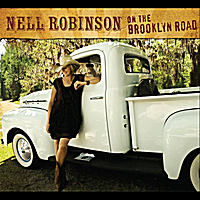 In the case of singer and songwriter Nell Robinson’s sophomore effort, the meaning is a bit deeper: yes, her songs hark back to bluegrass and honky tonk, but they also touch on her family’s history, as do the spoken-word interludes that draw on recordings of her relatives and ancestors. Several fine original songs nuzzle up against a stripped-down version of Loretta Lynn’s “Honky Tonk Girl,” a bluegrass version of Hank Williams’ “I Saw the Light,” and other well-selected covers, and Robinson’s voice nicely recalls the early recordings of Iris Dement. 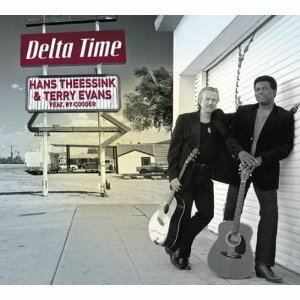 Do you think that a guy named Hans Theessink can’t play (or sing, or write) the blues? Think again. This guy has been doing it for 40 years now, and on this album he’s teamed up with Mississippian bluesman Terry Evans, guitar legend Ry Cooder, and gospelly backup singers Willie Greene Jr. and Arnold McCuller to create an album of quietly intense, deeply Delta-styled blues originals and covers. Both Evans and Theessink are excellent guitarists and singers, and Cooder’s presence is a real bonus. Brilliant overall. 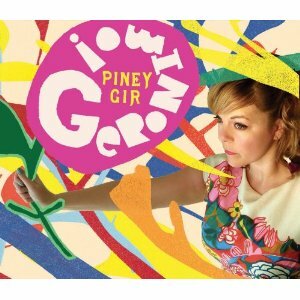 Piney Gir grew up in a strictly religious home with virtually no access to pop culture, but with lots of music. So it should come as no surprise either that Geronimo! is full of music that sounds like it could have been made in 1970 (after all, she’s still catching up) or that Gir’s voice is a wonder of sweetness and clarity. There’s no obvious irony in this music–its simplicity doesn’t seem to be a hipster pose. Instead, it’s hooks-drenched pop music with a scrappy, slightly amateurish edge informed by what seems to be a soul-deep talent. There’s not a single weak song here. Despite what the label name and the word “ridims” in the album title might lead you to expect, this is not a collection of reggae instrumentals. Instead, it’s a collection of mostly techno- and house-inflected tracks, with rich bassy textures and a fair number of dubwise flourishes. There are a few scraps of vocals, such as on the dubsteppy “Give Thanks,” but for the most part these are unadorned instrumentals that, impressive as they are, often cry out for the addition of a vocalist. 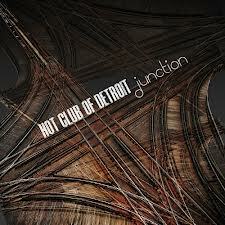 Maybe next time; for now, this album does offer plenty of good, thumpy fun. 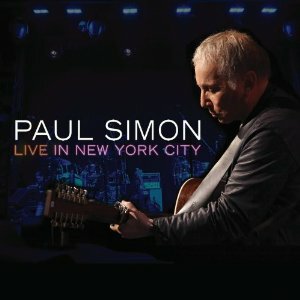 This package offers two CDs plus one DVD of Paul Simon performing live in an intimate New York venue with a crack band of session pros. It’s great stuff, if not exactly revelatory; Simon is in stronger voice than he has seemed at other times in recent years and the band is sharp and tight. My only real grumble is with the program. Instead of the umpteenth versions of “Mother and Child Reunion” and “Slip Slidin’ Away,” couldn’t we have had two or three selections (or even one) from the brilliant Surprise? (There’s plenty of leftover room on the two CDs, which offer only 94 minutes of music in total.) Still, you can expect solid demand from Simon’s many, many fans, very few of whom will be disappointed. For years, tobyMac has been one of the brightest lights in the Christian pop music firmament, a young man neither ashamed of his faith nor afraid of a slamming groove. 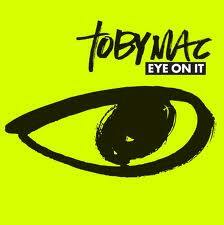 This means that whereas some of his colleagues prefer to hide their religious messages in coy pseudo-romanticism or to couch them in saccharine pop treatments, tobyMac puts the praise right up front and delivers it with a consistently compelling blend of rock and electro (and sometimes reggae and house) settings. 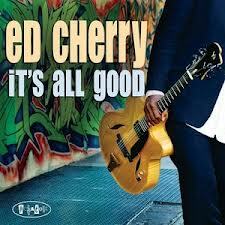 It doesn’t hurt that he’s a great singer, a passable rapper, and a very good songwriter. If your patron base includes a significant number of Christian young people, then expect demand. 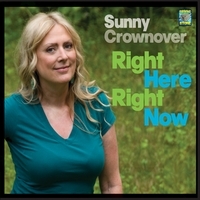 Sunny Crownover’s previous outings have been in a vintage jazz and jump-blues vein, but with this one she steps out in a more Chicago blues style crossed with Memphis soul, complete with chugging horns, a funky rhythm section, and the always-stellar guitar playing of producer Duke Robillard. Crownover’s voice is a joy as always, and the program offers a nice assortment of torchy soul, uptempo blues, classic soul, and even a little bit of trad jazz. Very fun. 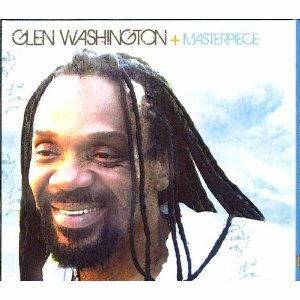 Glen Washington has been around for decades, and you can hear it in the slightly rough graininess his voice has acquired over time, but his energy and the quality of his songwriting haven’t flagged a bit. This album is one of the most satisfying examples of old-school, meat-and-potatoes roots reggae I’ve heard in some time; the sound is digitally clean, but the playing and the arrangements are straight out of 1970s Trench Town. Contributions from Squiddly Cole, Sticky Thompson, Norman Grant (of the Twinkle Brothers), and Style Scott are part of the explanation, but Washington himself is the driver at all times and there is hardly a weak track on the 17-song program. Highly recommended to all collections with an interest in reggae. 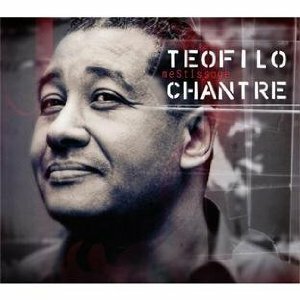 Lovers of Cape Verdean music will be familiar with the great singer Césaria Evoria, but probably less familiar with the man who wrote some of her biggest hits: Teofilo Chantre, an accomplished performer in his own right. Now, it’s true that as a singer, he’s no Césaria Evoria; his voice is pleasant enough, but nothing special. But it’s nice to hear him performing his own work, and his gently loping acoustic arrangements are a pleasure to hear. 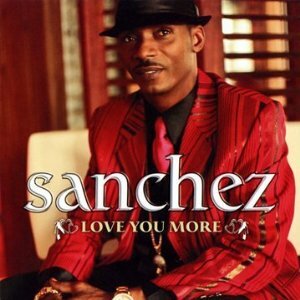 You’ll hear hints of many Latin traditions in his work, though his lyrics are often in French. Recommended. 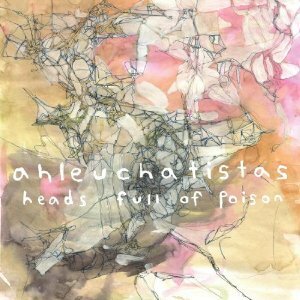 This album was originally released in Waldemar Bastos’ native Angola in 2010, and is only now being released in the US, although it was recorded here. He selected the songs for their significance to Angolans; some seem to be older pop songs, a few are original compositions and one is a folk song. 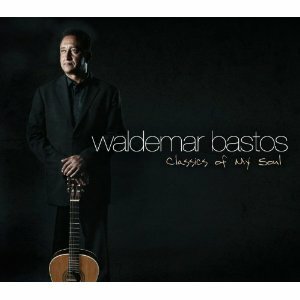 Four feature the London Symphony Orchestra, but for the most part the arrangements are warm but spare, focusing carefully on Bastos’ unique voice and acoustic guitar style. All are well worth hearing.